Until about 1870 this site formed part of the large garden of Suffolk Lodge (now The Retreat). In that year the tailor, Mr J. Yeandle, set up business here and remained for about 5 years before moving next door to number 14. The property may have been residential for a while and then in 1890 the first of a series of grocers arrived, Mr M. Bryden. He was succeeded by Mr George Straw in about 1898. By 1914 Mr Straw owned not only this property but also those either side, which he let to tenants. In 1922 Mr Rowland Herring took over this grocers shop and this was still Herrings grocers in 1965. But by 1970 it had become Jodi, a shop dealing in ladies fashions and ... hardware! In 1975 these premises accommodated the Valetta boutique and then changed trade again to become an antiques shop. 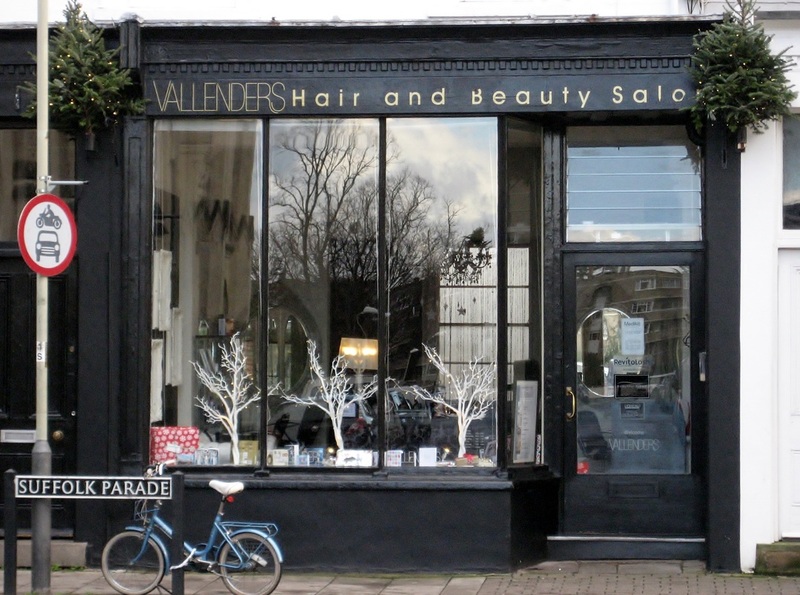 Today they are home to Vallenders hair and beauty salon.